Television shows that we might call ‘prestige television’ represent prison in ways that are sometimes reductive, sometimes powerful, and sometimes exceedingly complex. This book examines various programmes across the genres of drama, comedy and horror that utilize prison or places of incarceration as a central theme or setting to show how they conform to or challenge the standard conversation about the prison industrial complex and the common understanding of prisons as violent spaces where we house the worst among us. Drawing on the work of Angela Davis, Doran Larson, Dylan Rodriguez, Michelle Alexander, and Lisa Guenther, the author presents focused studies of Orange Is the New Black, Rectify, American Horror Story and The Walking Dead (along with briefer discussions of The 100, police procedurals, and popular sitcoms) to explore the responsibility of television to represent prison in as authentic a fashion as possible, the exploitation of the incarcerated in reductive representations of prison, and the shifting nature of the national conversation about prison as it is depicted on screen. 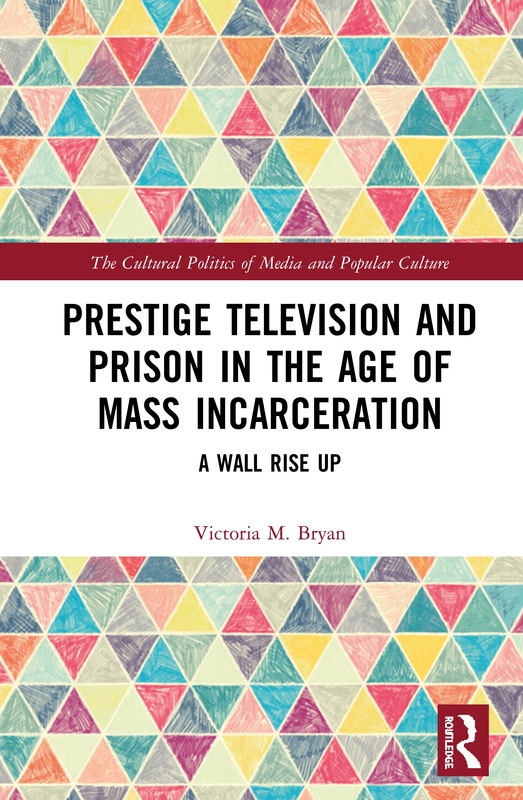 As such, the book will appeal to scholars of cultural and media studies, criminology and sociology with interests in incarceration and representations of prison in popular culture. Victoria M. Bryan is the Honors Program Director and Associate Professor of English at Cleveland State Community College, USA. She is also founder and director of the Turn the Page Literacy Initiative that operates in Southeast Tennessee. Dr Bryan earned her PhD in English from the University of Mississippi in 2014. Dedicated to a renewed engagement with culture, this series fosters critical, contextual analyses and cross-disciplinary examinations of popular culture as a site of cultural politics. It welcomes theoretically grounded and critically engaged accounts of the politics of contemporary popular culture and the popular dimensions of cultural politics. Without being aligned to a specific theoretical or methodological approach, The Cultural Politics of Media and Popular Culture publishes monographs and edited collections that promote dialogues on central subjects, such as representation, identity, power, consumption, citizenship, desire and difference. Offering approachable and insightful analyses that complicate race, class, gender, sexuality, (dis)ability and nation across various sites of production and consumption, including film, television, music, advertising, sport, fashion, food, youth, subcultures and new media, The Cultural Politics of Media and Popular Culture welcomes work that explores the importance of text, context and subtext as these relate to the ways in which popular culture works alongside hegemony.